JazzHR helps you automate and optimize the entire hiring process so you can save time, make the best hires, and cut overall recruiting costs. 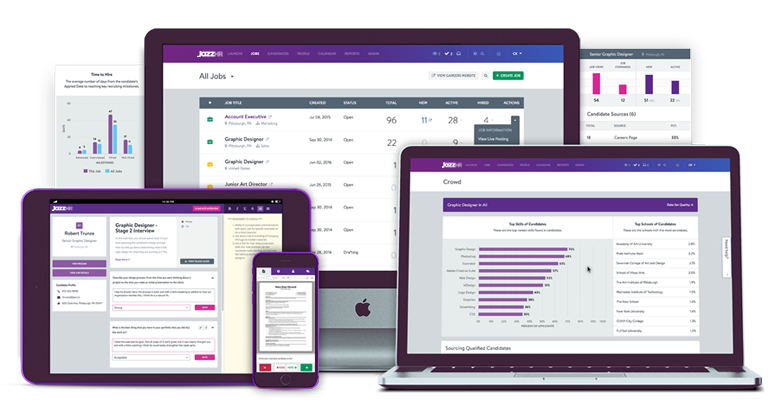 JazzHR is everything you need to find better candidates, get more organized, and make great hires. Want to try JazzHR for free? Start a free trial now.